We participate in the pursuit and qualification of new strategic outsourcing engagements and incremental business opportunities, and deliver a broad range of application management and managed operations services to IBM’s strategic outsourcing customers in Australia and New Zealand. Provide Technical expertise and mentor a team of technical specialists controlling and supporting various ORACLE database environments and software products. 1. Undertake the evaluation, testing, implementation and maintenance of ORACLE software products and services. 2. Provide professional consultation to management and internal clients on technical issues associated with the ORACLE database, and associated software products. 3. Conduct complex ORACLE database systems technical reviews to improve performance, resource utilisation and integrity. 4. Provide second tier technical support as required to meet defined service targets. Required to perform overtime activities and on-call support. 5. Provide technical instruction to other team members. 6. Specify, design and develop utility programs as required to support to ORACLE environment; and consult on their implementation and usage. 7. 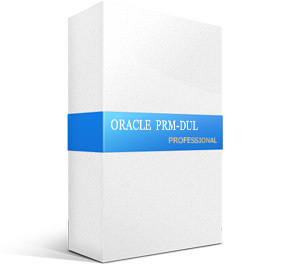 Investigate and resolve problems arising in all aspects of the ORACLE environment. 8. Investigate, and provide solutions to, technical issues concerning the management and utilisation of ORACLE software products. 9. Liase and manage clients satisfaction on technical issues. 10. Train and share knowledge with team members. Improve the morale of the team during critical situations. 11. Provide support and guidance to other technical teams around IBM. 12. Formulating and implementing monitoring, policies, procedures and standards relating to database management. · Comprehensive and expert knowledge of Oracle database architecture and software products, including a detailed knowledge of Oracle internals and database recovery techniques. 1. Limited knowledge. No experience. 2. Limited ability to perform. Has general knowledge only. Very limited experience. 3. Can perform with assistance. Has applied knowledge. Has performed with assistance on multiple occasions. Has performed independently in routine situations. 4. Has in-depth knowledge and can perform without assistance. Can direct others in performing. Repeated and successful experience.